Today, the 24th of September marks a sudden and powerful turning point in the astrological energies of the Universe. This is the beginning of the revered pinnacle known as 'The Time of Libra". Long awaited. Long awaited. Let's take a look at what this glorious period has in store for us. The Libran cornucopia is abundantly overflowing. So much so, dear Libs, that we must not worry about anything or feel a sense of lack. All that is deservedly ours comes flowing into our lives without restraint. Enjoy as Venus showers us with goodies galore! Venus has all the keys to make huge doors of opportunity swing open ... and, should the eager Libran (or honorary member) decide to enter, s/he will encounter many blessings filling the lush garden of life. Enjoy! Bask! When faced with so many abundant opportunities, should one say 'Yes' to all? Consider this: When faced with a tree full of apples (for temperate Libs) or oranges (for tropical Libs) does one pick and eat all of the apples/oranges???? Mmmm. What is that delightful scent? Love is in bloom and its exotic perfume is engulfing the lush Libran garden! Librans need only open their arms and welcome who/what is theirs. 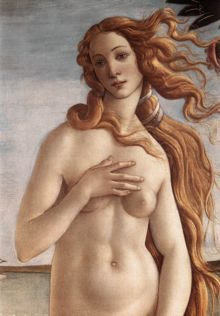 After all, the Divine Gardener is none other than ... Venus, goddess of Love. Her flowers of Love, which are experiencing profuse growth spurts in Libra 2007, have pushed deep roots into the earth, creating a firm foundation which, although not seen, is very much present. Venus dutifully waters these Flowers daily so that they continue to grow and produce blooms of Love on an ongoing basis. Every Libran in the known Universe will benefit profoundly from the products of Venus's 'green thumb' as it were. If there is any doubt as to why ... please note that these Flowers have five petals. You know what that means! Je suis fatiguée ... et très occupée!